La Francophonie is fully known as the International Organisation of la Francophonie. It is an organisation of countries where French is spoken and French culture has an influence on the culture of the country itself. The members of La Francohonie do not necessarily have to have French as their main language – indeed many of the members do not have French as their official language but as a second language or have a significant French speaking population. La Francophonie is also used to describe the community of people who speak French across the world in countries, which are either French speaking countries or have big populations of French speakers. The organisation of La Francophonie currently has 53 member states, two associate members and 13 observers. The organisation also has a permanent council, which is made up of ambassadors of the various members. Every two years a summit is held in one of the countries for all the members to get together and discuss issues pertaining to the organisation. La Francophonie was created in 1970, and, like other organisations of multiple countries, has continued to grow ever since, with more members joining on a regular basis. La Francophonie has a motto, which echoes that of France itself. It is ‘égalité, complémentarité, solidarité’ which translates as equality, complementarity, and solidarity. The motto aims to encompass some of the ideals and aims of the organisation. Although when it was started in 1970, la Francophonie was a small club of former colonies and French-speaking countries, now it is an important player on the world stage with interests and aims as varied as peace and justice and science and education. As you would expect from an organisation made up of countries with French speaking populations, the major aim of la Francophonie is to promote and protect the French language itself. 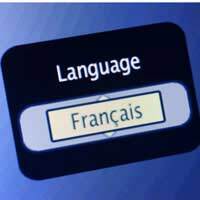 It promotes French as an international language around the world. However, la Francophonie also has an important role to play in linguistic diversity and cultural expression. In this age of a smaller world and globalisation, the organisation takes pains to protect member states’ cultural interests and promote the differences in cultures and languages, which make the world a varied, interesting and culturally exciting place. But other major aims include peace, democracy and human rights. Some of the members of La Francophonie though have poorer human rights records than others and in the past, some members have called for a charter for the organisation. This charter would call on members to improve their human rights records as a pre-requisite of membership. In addition to human rights, the ideals of peace and democracy are promoted and in recent years, the countries have actually allocated funds for the pursuit of these ideals. French is one of the most spoken languages around the world. It is therefore no surprise that there is an organisation such as La Francophonie exists. As the world gets smaller and globalisation becomes more prevalent, an organisation such as La Francophonie will become more important. It's ideals and aims hope to protect the French language in the same way that le Academie Francaise does in France itself, but with a wider remit for the greater good.